In accessing our website “www.askonasholt.co.uk”, you agree to be bound by the Terms and Conditions set out below. Read our full PRIVACY NOTICE. 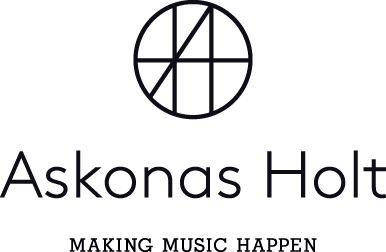 In accessing the Askonas Holt website you agree to access the contents solely for your own personal, non-commercial use. You are not permitted to copy, store in any medium, distribute, broadcast, show in public or change in any way any part of the Askonas Holt website for any other purpose without the prior written permission of Askonas Holt or in accordance with the Copyright, Designs and Patents Act 1988 or other applicable law. Where we have them and are required to use them, photo credits are attributed to the images used on this website. It is your responsibility to protect your computer system, including hardware, software and stored information, and to ensure that any data downloaded from this website are free from viruses, or items of a destructive nature. We are committed to the highest standard and quality of information, and every attempt has been made to present up-to-date, accurate information. However, we give no guarantee as to the accuracy of the information on this website and accept no liability for any loss, damage or inconvenience caused as a reliance of such information. You agree that in the event of any dispute of any nature that may arise between you and us, these terms and conditions shall be governed by and construed exclusively in accordance with the law of England and Wales.